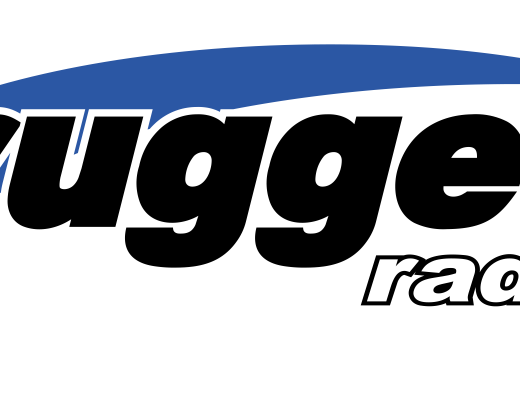 Back in the mid-1980s, a couple of Kawasaki engineers on their lunch break were discussing the agricultural industry’s need for a small, rugged off-road utility vehicle. As they scribbled their idea on a napkin, they concluded that it needed to be durable, comfortable, easy to operate, and it needed excellent hauling and towing capabilities. That idea ultimately became the Multi-Use-Lightweight-Equipment vehicle – “MULE” – and the first model, the Mule 1000, quickly became a favorite of American farmers and ranchers. 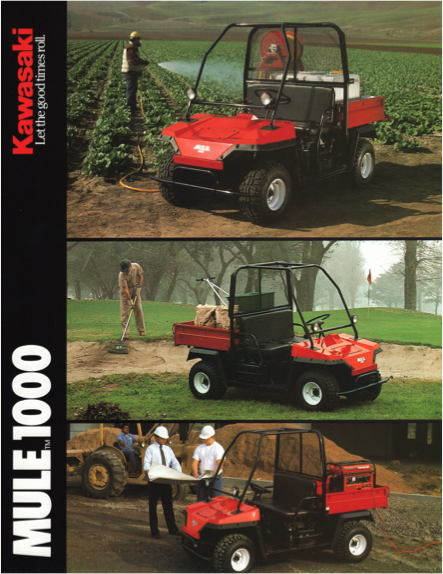 As Kawasaki introduced new models to the American market, the many uses for the Mule expanded to include safari-type hunts, maintenance for large estates – even hauling engine parts and tires at NASCAR events. After more than 20 years of service, the Mule name has come to define a whole category of hardworking utility vehicles. 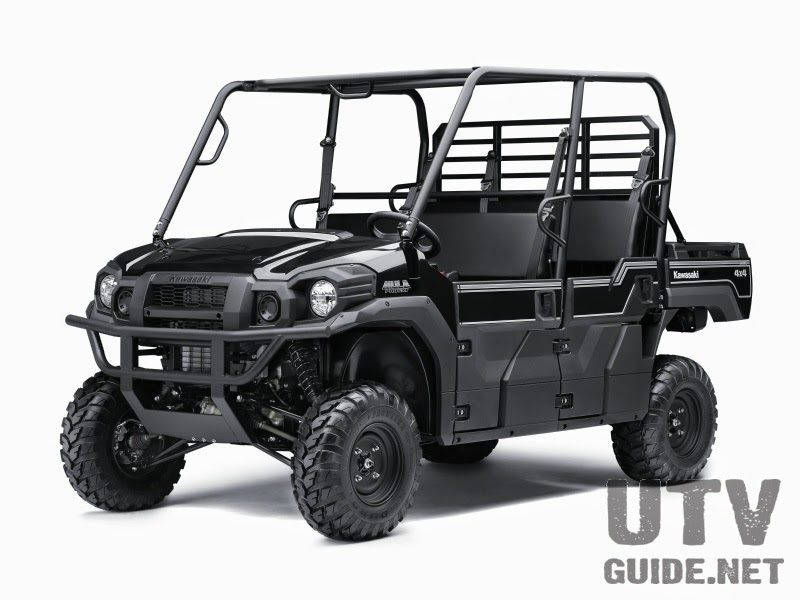 The MULE™ utility vehicle was the next step in the natural progression of Kawasaki’s successful ATV line. 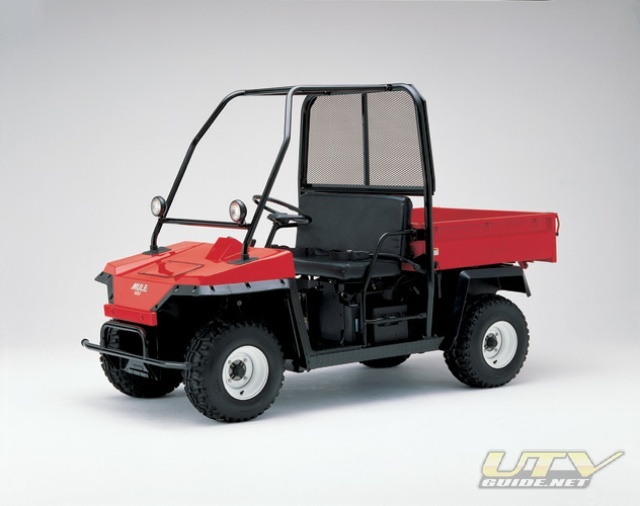 Built for situations where customers needed the agility of an ATV as well as the payload of a pick-up truck, the MULE solved many problems for ranchers, golf course managers, emergency crews, industrial plant managers and even theme park staff. With a pick-up truck type design, the first MULE hit the market in 1988 and, like its namesake, proved so amazingly versatile that the MULE utility vehicle is now a ubiquitous sight at farms, docks, sports facilities and anyplace else where lightweight and sturdy utility vehicles are needed. The perfect solution for thousands of job sites across the world, Kawasaki keeps the good times rolling on four wheels as well as two. Today’s Mule off-road utility vehicle line features both two-wheel drive and 4×4 models, gas and diesel models and the Trans4x4 that transforms from a short-bed four-passenger vehicle to a long-bed two-passenger cargo hauler. All are assembled at Kawasaki Motors Manufacturing in Lincoln, Nebraska, and are shipped to Kawasaki’s retail network in the U.S., as well as other Kawasaki distributorships worldwide, where these tough Kawasaki’s can help with hauling and towing. Kawasaki Motors Corp., U.S.A. (KMC) markets and distributes Kawasaki motorcycles, ATVs, personal watercraft, utility vehicles and recreation utility vehicles through a network of more than 1,475 independent retailers, with an additional 8,000 retailers specializing in Kawasaki general purpose engines and hand-held power products. KMC and its affiliates employ nearly 3,300 people in the United States, with 400 of them located at Irvine, California headquarters. “Let the good times roll.™”, is recognized worldwide. The Kawasaki brand has become synonymous with powerful, stylish motorcycles for over four decades. Information about Kawasaki’s complete line of recreational products and Kawasaki affiliates can be found on the Internet at www.kawasaki.com.